After the great success of the marine conservation internship in Thailand in the past 6 years, we are delighted to open the applications for the 2019 period. The internship is open to students of biology, marine biology, oceanography and other relevant disciplines. Working alongside researchers and volunteers, the marine conservation internship is the perfect opportunity for students to put into practice what they have learned during the year. It offers the chance to get some real hands on marine conservation and research experience, and contribute to an important study on the protection of the marine world. This research, which is fed back to the Thai government, is very important for protecting the future of marine life off the coast of Thailand. The conservation initiative also embraces the growing of coral nurseries to promote life under the sea. We are looking for people to take part for a duration of either 4, 6 or 8 weeks in any study break. This could be over the Easter break or the longer summer break. Alternatively, if you are on a gap year or looking to do this internship after university, you can take part in this at any stage throughout the year. The minimum commitment for the internship is 4 weeks. You can do this for either 4, 6 or 8 weeks. You will be working with a unique marine research organisation performing daily dives to help understand the local ecosystem and develop and implement methods in reef conservation. You will witness first hand how reefs degrade from physical damage, overfishing, climate change and contamination – and find out from the experts about the work they are doing to reverse this. This project takes place off the island of Koh Pha Ngan, a diver’s paradise with stunningly beautiful coral in easy reach off the coast. Novices are very welcome as professional diving instruction is available. On arrival you will be given a thorough induction course on diving and the research undertaken- and for those who are yet to experience diving, the PADI course is an exciting way to get to grips with this project. 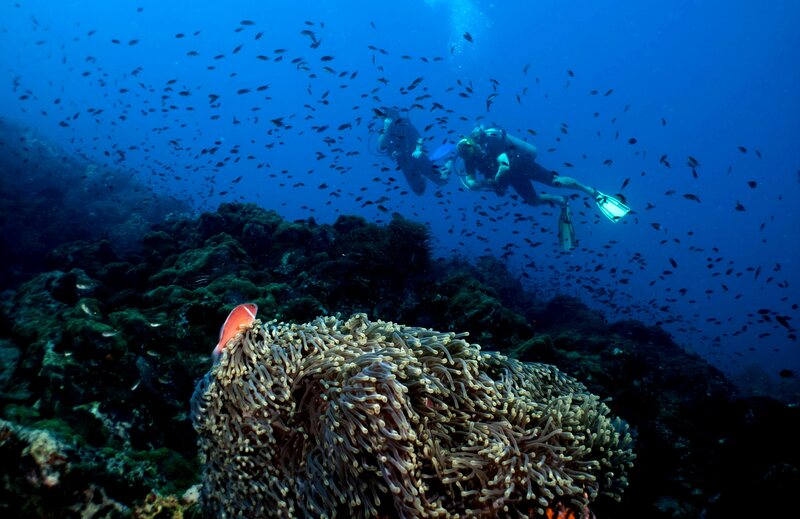 Each day you will go out to sea to visit the coral reefs just off the coast. As an important member of the team, you will help with taking samples and measurements of the coral mass and biodiversity, monitor the marine life and conduct surveys. There will also be the exciting opportunity to take photographs of the coral and fish to help establish changes that occur. Trained divers: 4 weeks £1545. This includes your airport transfer, accommodation, dive gear, full instruction and a comprehensive internship programme. In addition to this you would need flights to Koh Samui (from £700), travel insurance (from £30), food costs (about £5 per day) and return to the airport (about £10). My name is Elliot Smith. I am in my second year of my Marine Biology & Oceanography at Plymouth University, and am currently looking for an opportunity for a placement year for my third year. I was wondering if OysterWorldwide knew of any job placements available to University students that relate to marine conservation?. I would appreciate it greatly if someone could get back in touch with me to help me find out more. Hi Elliot. Thanks for your message and your interest in getting involved in a placement year on one of our projects. It would certainly be something that we would be happy to look into for you. If you could send me an email on [email protected] explaining exactly your course requirements that would be great! Hi Ashleen! Thank you for your interest in this! Our usual duration is 12 weeks, which can then be extended! I’m a qualified advance/ soon to be rescue diver and would love to work in a project like this to build relevant experience. Any advice on whether I could be of any help on this project would be great. Thank you for your message. It is great that you are keen to get involved and I think you would be a great intern as although you don’t have the scientific experience I am sure you would be able to bring other assets (because of your experience through your degree). It would be great to get you involved. If you have any questions please do get in touch. Hello I was wondering if someone who is interested on pursuing marine biology as a career could participate with you? My sister would love this she is 16 years old and has always wanted to pursue this career. Hi Michelle, thanks for your message. It sounds like your sister is just the sort of person that we are looking for on this project – many of our participants are people wishing to go into this field of work and wanting to get some hands-on experience. She would need to wait until she is 17 to go, when she will need full parental permission. I hope that helps! Hi, I plan on being in Thailand in November and would love to be apart of this program. Can I please get some information on how to apply or signup? Hi Rachelle, thanks for your message, this is great to hear. You can book by completing our online booking form. We will get in touch with you then to answer any further questions that you have, find out more about you and get you all signed up to the program.